Snehankur has placed hundreds of boys and girls in good families through adoption. About a decade ago there was a social stigma associated with adopting children. However there has been a drastic change in the last few years with positive approach of progressive parents. What is more satisfying is the fact that more parents are coming forward to adopt a female child even as the rest of society if grappling with the problems of female feoticide and female infanticide. Even parents who have biological children are now adopting to build their families. ‘Snehankur’ has handed over children to parents of all religions - Hindu, Muslim, Christian, Parsis ! The process of adoption remains incomplete until rehabilitation and social empowerment of the unwed mother is done. Sadly, this aspect is rarely paid attention to. Snehankur, addresses this complex but delicate issue of unwed mothers' insecurity by taking the issue head on. With over 20 years of working experience on the ground, our coordinators understand and empathize with the socio-economic condition, and that forces mothers to give away their babies, and the associated emotional hardship. 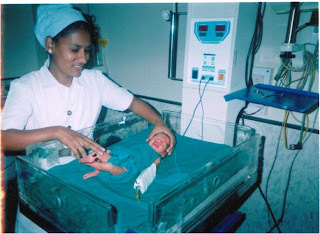 Snehankur provides medical help in excellent hospitals for unwed mothers who relinquish their children. These women are provided counselling and when required an opportunity to take professional employment or education free of cost. Many women have completed bachelor degrees and have found career in the fields of fashion designing, catering technology and nursing. Snehankur has arranged for their marriage too. Physically handicapped women have also been rehabilitated successfully. An NGO cannot function effectively by itself. Snehankur has established the links and harmonious relations with the local police stations, Child Welfare Committee, educational institutions, lawyers, first aid centers, civil hospitals, JAPU (Juvenile Aid Protection Unit) and NGOs working in remote areas. Snehankur organizes regular workshops to boost awareness of child rights. Recognized for it's dedicated work, Snehankur gets timely cooperation and collaboration from the allied agencies. We get phone calls round the clock for helping the children in distress. A team of trained nurse, social workers and a dedicated vehicle with driver are available 24 hours to reach the spot and assist these children.